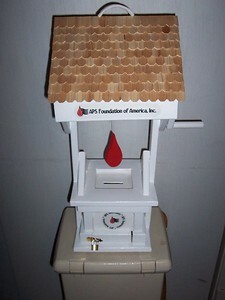 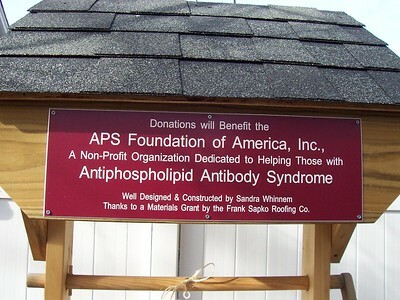 APSFA's Wishing Wells - APS Foundation of America, Inc. 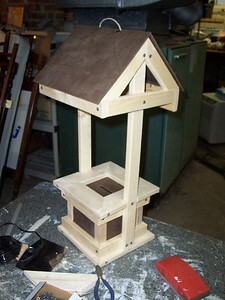 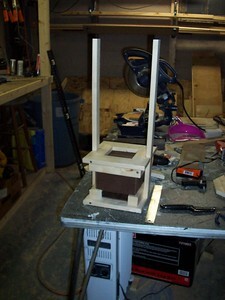 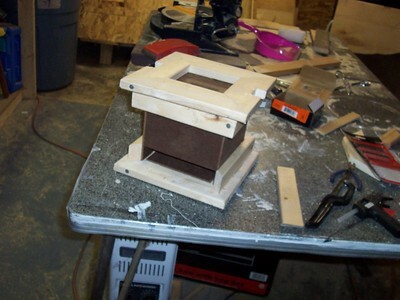 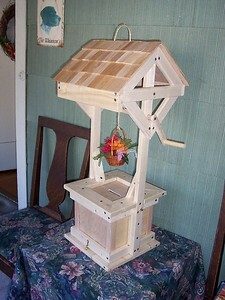 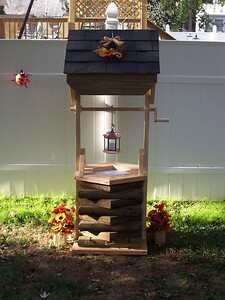 These are the APSFA's Wishing Wells made by Sandra Whinnem. 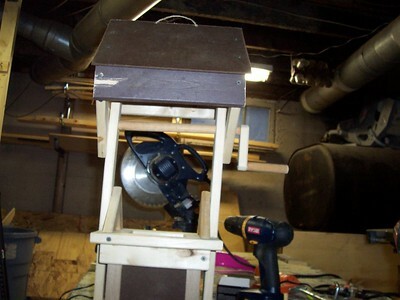 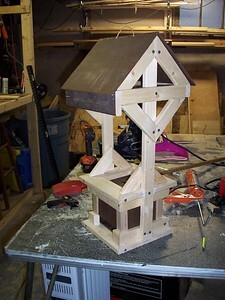 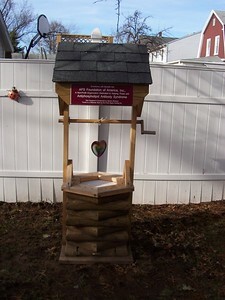 Sandra designs and builds unique Wishing Wells that securely hold donations to benefit charities. 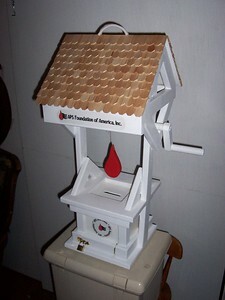 There is a large one for larger fundraisers and a table top one for healthfairs & private events. 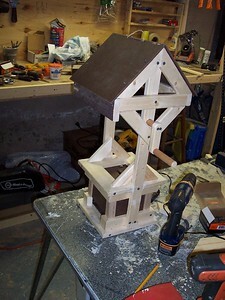 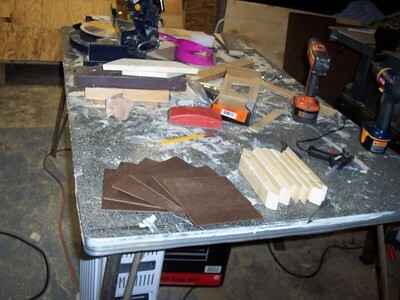 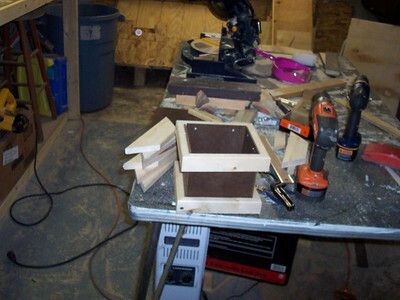 Included are some pictures of the building progress. 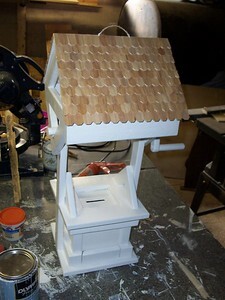 Thank you to Frank Sapko Roofing & Remodeling Co. for supplying Sandra with the supplies to make these beautiful wishing wells.